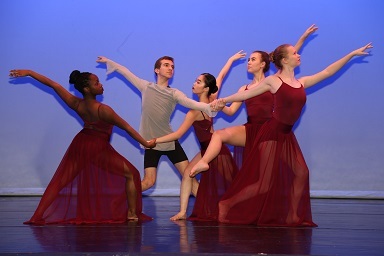 Center For Creative Arts Hosts 18th Annual Chattanooga Dances! The 18th annual Chattanooga Dances! concert will be presented in the Center for Creative Arts Auditorium Thursday, Oct. 18, at 7 p.m. The concert highlights the city’s non-profit dance organizations, along with those schools that maintain a full dance curriculum. Companies appearing on this year’s concert will be Ballet Tennessee, Barger Academy’s Movement Makers, Baylor’s Verve, Center for Creative Arts’ Project Motion, Chattanooga Ballet and GPS’ Terpsichord. "The evening will showcase Chattanooga’s diverse dance community with a variety of genres from both professional and student choreographers. Join us for this unique evening when Chattanooga’s dance organizations appear on the same stage. Audience and dancers alike can celebrate the richness of the dance community in Chattanooga and experience a taste of what each organization has to offer. The Chattanooga Dances! concert has become an anticipated event over its history as a valuable collaborative arts experience," officials said. Karen Wilson, director of Dance at Center for Creative Arts, sees the concert as an important partnership between Chattanooga’s public and private schools as well as among the community’s diverse dance organizations. "Kudos to CCA's Chattanooga Dances concert for bringing our dance community together annually to celebrate both our unity of passion for dance and our diversity of artistry.” states Andrew Parker, Chattanooga Ballet Co. artistic director. “Chattanooga Dances is the premier regional concert for non-profit performing dance organizations and schools. It provides an exciting artistic cross-pollination for dancers/choreographers of all ages,” says Cathie Kasch, director of dance at GPS. Center for Creative Arts sponsors this yearly event. Tickets are available at the door for $5. CCA is located at 1301 Dallas Road, Chattanooga, 37405. For more information, call 423-498-7365.